Nov 2018: Ship Operating Costs Annual Review and Forecast 2018/19 is now available to purchase online. 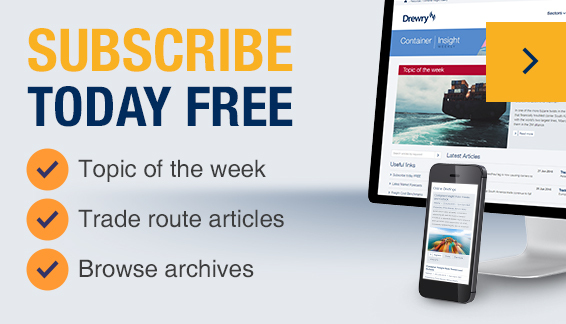 Drewry looks at the prospects for protection and indemnity (P&I) insurance costs. We offer a unique combination of specialist expertise and experience to support the operational, technical and strategic needs of ship owners and operators. Everyday operational and management concerns are clearly a vital dynamic of the maritime industry and every year Drewry's research team publish two comprehensive reports analysing and predicting operational overheads and specific management and resourcing considerations for owners, operators and other stakeholders. Ship Operating Costs provides information and analysis of ship operating costs for 46 different ship types and sizes, while the annual Manning report reviews the trends in seafarer (officer and ratings) in the past decade and forecasts seafarer requirements five years ahead. Meanwhile, our consultants typically provide shipowners, investors and leaders with technical due diligence support, in addition to other ship operations related advice. An elite and diverse group of industry stakeholders from shipowners, to charterers, investors and financial intermediaries rely on our range of market research, sector expertise and commercial experience to help inform decisions, reduce costs and drive performance improvement. Cost growth returned to seafaring in 2018 and is projected to accelerate moderately, according to Drewry’s latest Manning Annual.